This year’s 35th Annual National Cowboy Poetry Gathering once again found poets, musicians, gearmakers, and folklorists in Elko, Nevada celebrating and raising awareness about cowboy culture and the rural experience. 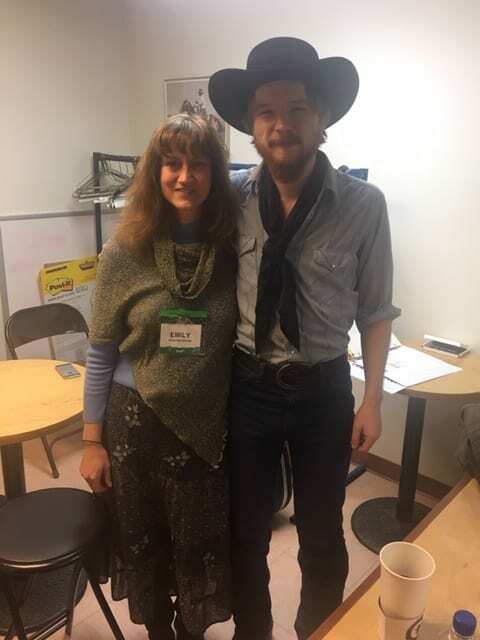 OFN Associate Director, Emily West Hartlerode, worked managing and hosting stages as contract staff of the Western Folklife Center, reuniting with colleagues from across the west. Among them are a growing number of UO and OFN alum: Bradford McMullen and Jennie Flinspach (OFN graduate employees), Debbie Fant (OFN contract fieldworker), and Amy Mills (UO Folklore graduate), to name a few. 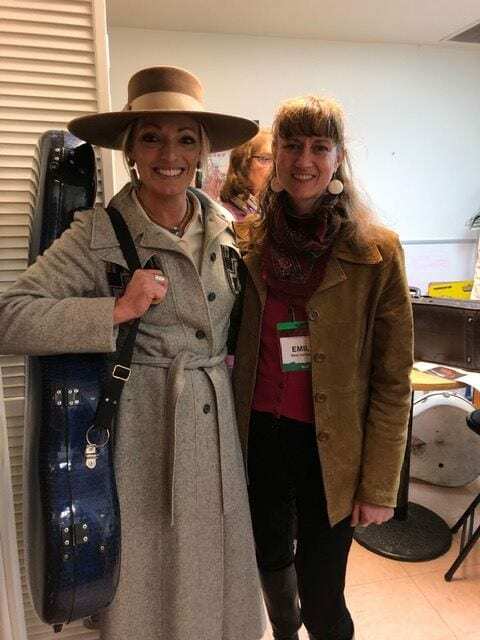 On-stage talent from Oregon included first-time participant, singer-songwriter Forrest Van Tuyl of Enterprise, and long-time participant Ross Knox who now hails from Arizona, but grew up ranching in Central Oregon. 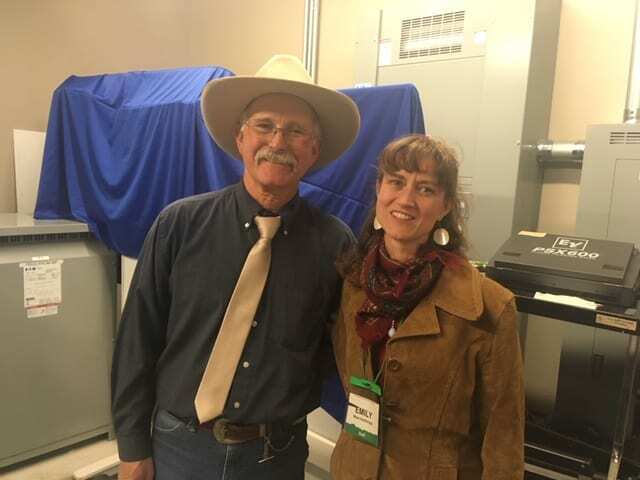 Personal highlights were stage managing for Colter Wall, Trinity Seely, and Dave Stamey (backstage photos below), and catching up with community scholar, Andy Hedges, whose interviews with cowboy poets and singer-songwriters you can enjoy on his blog. There is a feeling of homecoming at the National Cowboy Poetry Gathering among artists and staff folklorists alike. Thanks to Doug Blandy, director of UO Folklore and Public Culture Program, for sharing this blog post about the event.